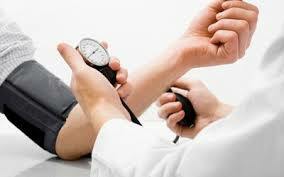 If you have been diagnosed with hypertension, it is important to make changes in your diet and lifestyle. Read and take note. Reduce sodium intake: Table salt is the main source of sodium in your food, though it is also found in plenty in processed foods such as crisps. If you have high blood pressure or borderline high blood pressure, you need to reduce salt intake if you want to manage the condition. The human body requires a little sodium, less than 2 grams a day, however, we tend to eat more than we need. To reduce sodium intake, add just enough when cooking, and cut down or avoid processed or packed food, since it contains high sodium content. Cooking your own food allows you to use just the right amount of salt. Reduce alcohol intake: Taking too much alcohol raises the risk of high blood pressure. Alcohol could also interfere with the effectiveness of the medicine used to treat hypertension. Those who take more than two drinks a day are at greater risk of developing high blood pressure, than those who do not take alcohol. The risk is even higher for those who take more than five drinks a day. That said, if you are above 40, you can benefit from taking one drink if you’re a woman, and two if you are man – it is said to be beneficial to the heart. This protective effect is applicable to those with a history of high blood pressure. Eat more vegetables and fruits: Eating plenty of green leafy vegetables and a variety of fruits will reduce the risk of developing high blood pressure. However, you do not have to be a strict vegetarian to keep hypertension at bay. Eating fresh veggies like broccoli, spinach, lettuce and sukuma wiki, as well as fruits such as apples, oranges, papayas, watermelon, alongside low fat dairy products is just as healthy. Increase intake of dietary fibre: This will help to lower blood cholesterol. It is recommended that you take about 20 to 35 grams of dietary fiber every day. Foods with high fibre content include breakfast cereals, whole grain bread and vegetables. 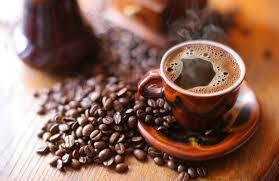 Drink coffee: Although caffeine causes a slight increase in blood pressure, the effect is normally temporary. Taking caffeine in moderation, say two cups or less of coffee a day does not raise the risk of high blood pressure in most people. Include fish in your diet: Eating plenty of fish, especially if you are on a weight loss program, will help to keep high blood pressure under control. Maintain healthy weight: In addition to dietary changes, regular exercise and keeping off excess weight can greatly help to lower blood pressure. Being overweight or obese raises the risk of hypertension, as well as diabetes. You are considered overweight when the BMI (Body Mass Index) is more than 25, while a BMI of 30 or more means that you are obese. If you want to lose weight, simply work out more and eat less. Simple and regular aerobic exercises such as walking or running for about 20 or 30 minutes daily, or on regular basis are all you need. Though this article has focused on just diet and exercise, if you have hypertension, you might need medicine to control it; that is why it is important to have your blood pressure regularly monitored by a doctor.